5.3% of people have earned this badge. 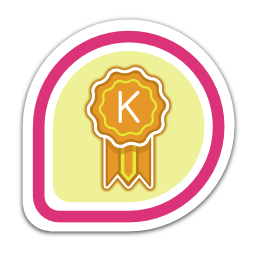 First earned by ralphlange on 2013-08-07. Last awarded to acme on 2019-04-22.
chenchacha tflink ralphlange mkuhn spot jdoss steved pingou ajax delete nhosoi maxamillion dmlb2000 lkundrak richardfearn slagle sayanchowdhury doshitan mattrose nucleo pmackinn cmadams nb lgs technion fbl stefw error caolanm mso jcollie zpavlas jamesnz bochecha scottt kg4sgp tadej jpacner fab marqh rnovacek magcius firstyear martinkg jkoncick nalin limb mtasaka nkinder akon jeckersb f1ash wilqu hamzy aalvarez bradw pfrankli thaller dtimms harald jistone mclasen jhogarth bonzini bressers laxathom abelxluck echevemaster siwinski dallan strobert trasher hubbitus brendt vpavlin rstrode davdunc kkofler dakka dbmacartney msrb lotharlutz pgordon pescetti airlied logic denisarnaud morpheusv besser82 hvad jfedoraa skottler nhorman urkle jread bluebat npajkovs mstuchli vondruch scox fafatheone nathans oliver hhorak jamielennox tagoh xqbumu ezzrm landgraf whot jsynacek mschwendt wfp unixekd123 mrceresa xqueralt tradej prarit jmarrero ianweller thub dyfet matt adev tieugene nphilipp squain buzztroll ralph dvorak42 codonell lmacken raghusiddarth sjodogne achernya dlehman mizdebsk atkac marx onuonga villadalmine tdabasin mjw sea kerneis jhernand fkooman rdeys browbass ... and 2753 other people.